A single body cries out and the crowd responds. What is a classical ballet body? What does the ballet body represent? 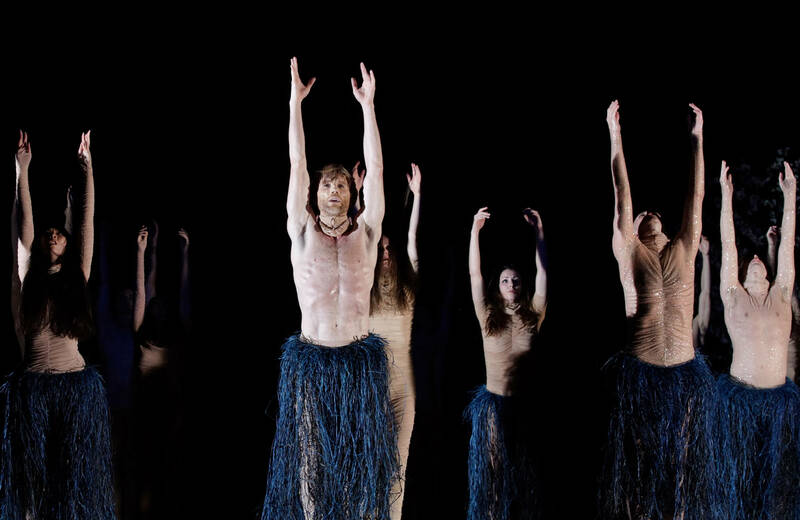 Greco and Scholten drew inspiration for this production from Elias Canetti's Crowds and Power, from the phenomenon of synchronicity and from the relationship of the individual body to the 'body' of the group. The dancers of Les Ballets de Monte-Carlo form a crowd, a host, a horde and they cut through the classical gestures of ballet. They take their cues from long-departed icons. Lighting, sound and music re-create the dance and comment on it. When the fixed movement patterns and figures, the existing frameworks and dictated rhythms break down, one major desire resounds: to play and to control - Jouer et contrôler. Le Corps du Ballet de Monte Carlo is part of Le Corps du Ballet, a series of activities initiated by Greco and Scholten aimed at renewing ballet from within.